Objective: To summarize recent research and to propose a selection of best papers published in 2017 in the field of Clinical Information Systems (CIS). Method: Each year a systematic process is carried out to retrieve articles and to select a set of best papers for the CIS section of the International Medical Informatics Association (IMIA) Yearbook of Medical Informatics. The query aiming at identifying relevant publications in the field of CIS was refined by the section editors during the last years. For three years now, the query is stable. It comprises search terms from the Medical Subject Headings (MeSH) thesaurus as well as additional free text search terms from PubMed and Web of Science®. The retrieved articles were categorized in a multi-pass review carried out by the two section editors. The final selection of candidate papers was then peer-reviewed by Yearbook editors and external reviewers. Based on the review results, the best papers were then selected by the IMIA Yearbook editorial board. Text mining, and term co-occurrence mapping techniques were used to get an overview on the content of the retrieved articles. Results: The query was carried out in mid-January 2018, yielding a consolidated result set of 2,255 articles which had been published in 939 different journals. Out of them, 15 papers were nominated as candidate best papers and four of them were finally selected as best papers in the CIS section. Again, the content analysis of the articles revealed the broad spectrum of topics which is covered by CIS research. Conclusions: Modern clinical information systems serve as backbone for a very complex, trans-institutional information logistics process. Data that is produced by, documented in, shared via, organized in, presented by, and stored within clinical information systems is more and more reused for multiple purposes. We found a lot of examples showing the benefits of such data reuse with various novel approaches implemented to tackle the challenges of this process. We also found that the patient moves in the focus of interest of CIS research. So the loop of information logistics begins to close: data from the patients is used to produce value for the patients. After the retirement of Thomas Ganslandt as section editor of the Clinical Information Systems (CIS) section of the International Medical Informatics Association (IMIA) Yearbook, Alexander Hörbst joined the team as a new section editor of the CIS section. For the third time in a row, we have used the same query to search for CIS publications. The number of retrieved articles remained stable as compared to last year. Except the use of new online-based software products to support the selection process and the election of best papers, everything stayed unchanged, the trends that we already observed in the previous years are progressing. The process described in was again applied to select the candidate best papers for the CIS section. Primarily, descriptors from the Medical Subject Headings (MeSH) thesaurus were used as search terms to cover major topics of the CIS section: hospital records, health information exchange, health and clinical information systems and meaningful use, among others. In addition, as indexing with MeSH keywords may occur with a lag of several months after the inclusion of an article in PubMed, free text search terms covering the same topics retrieved from MeSH were used to search within the title and abstract fields of PubMed. As in the previous years, free-text search was restricted to citations labeled with status “publisher” or “in process”, which indicates the lack of MeSH-coding. The query was further restricted to journal articles published in 2017 in English language and including an abstract (2017[DP] AND “english”[LA] AND “journal article”[PT] AND “has abstract”). Topics from other IMIA Yearbook sections were excluded as far as possible with appropriate MeSH keywords and free text terms. Additional exclusions by publication type were added to restrict the query to original research articles and reviews. The free-text query was additionally reformatted for Web of Science® (from Thomson Reuters) with an additional restriction to the subject area “Medical Informatics” and the exclusion of articles which already had been found in PubMed. The full queries are available upon request from the corresponding authors. The queries were carried out in mid-January 2018. The search result set comprised 2,255 papers, 2,135 retrieved from PubMed and 120 additional publications found in Web of Science®. The resulting articles had been published in 939 different journals. 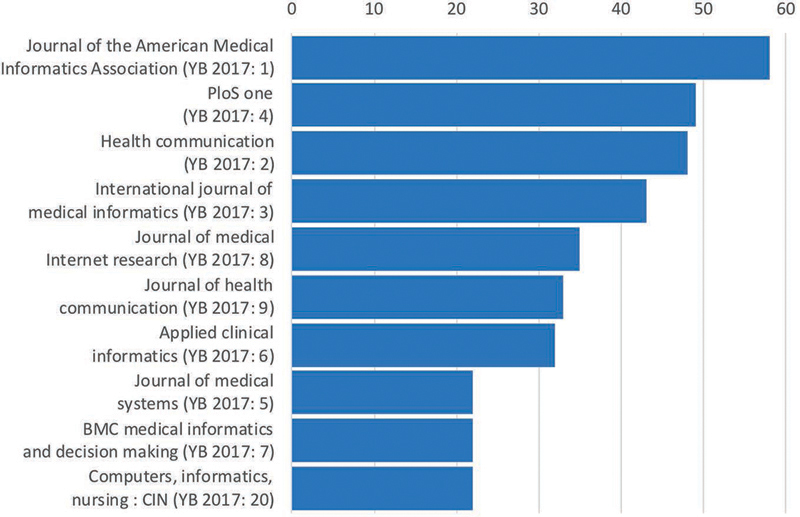 [Figure 1] depicts the top ten journals with the highest numbers of resulting articles. Nine journals stayed in the top ten ranking compared to last year. The journal Computers, Informatics, Nursing made it up for the first time and replaced BMJ Open on position number ten. Fig. 1 Number of retrieved articles for Top-10 journals. In parentheses the journal rank in the CIS section of the 2017 IMIA Yearbook is stated. Instead of the software tool BibReview, the online tool Covidence (https://www.covidence.org/) was used to carry out the multi-pass review by the two section editors (AH, WOH). For that, all 2,255 articles were assessed independently by both section editors. In a first step, ineligible articles were excluded based on their titles and/or abstracts (n=2,120). The remaining set of 135 articles was again assessed independently by both editors in a second selection pass. Here, 84 articles were excluded and 26 articles were selected to stay in the third selection round by both editors. The remaining 25 articles with conflicting results were assessed in a consensus meeting, which resulted in 11 additional candidate best papers. These 37 (26 + 11) candidates were again assessed independently by both editors and individually ranked by them. Based on these rankings, 15 final candidates were nominated as candidate best papers for the CIS section. This list was then reviewed by the Yearbook editors who checked if any articles had also been selected in other sections. This year, no overlaps were found, and all 15 candidates entered the peer-review process of the Yearbook. For each paper, at least five independent reviews were collected. During the selection meeting held on April 20, 2018 in Paris, four papers were finally selected as best papers for the CIS section ([Table 1]). A content summary of these three best CIS papers can be found in the appendix of this synopsis. Best paper selection of articles for the IMIA Yearbook of Medical Informatics 2018 in the section ‘Clinical Information Systems'. The articles are listed in alphabetical order of the first author's surname. ▪ Andersen B, Kasparick M, Ulrich H, Franke S, Schlamelcher J, Rockstroh M, Ingenerf J. Connecting the clinical IT infrastructure to a service-oriented architecture of medical devices. Biomed Tech 2018;63(1):57–68. ▪ Nguyen P, Tran T, Wickramasinghe N, Venkatesh S. Deepr: A Convolutional Net for Medical Records. IEEE J Biomed Health Inform 2017;21(1):22–30. ▪ Olchanski N, Dziadzko MA, Tiong IC, Daniels CE, Peters SG, O'Horo JC, Gong MN. Can a Novel ICU Data Display Positively Affect Patient Outcomes and Save Lives? J Med Syst 2017;41:171. ▪ Plastiras P, O'Sullivan DM. Combining Ontologies and Open Standards to Derive a Middle Layer Information Model for Interoperability of Personal and Electronic Health Records. J Med Syst 2017;41:195. In addition to the selection of best papers an important aspect of the Yearbook is to give an actual overview on the research field in the different sections. During the selection process, the editors get a good impression on the recent developments in the research field, but to objectify this subjective impression a more formal approach is needed. During the last years, we have established and refined a text mining and bibliometric network visualizing approach to summarize the content of titles and abstracts of the articles in the CIS result set . [Figures 2] and  depict the resulting co-occurrence maps of the top-100 terms from the titles and of the most relevant terms (top 60 percent, n =530) from the abstracts of the 2,255 papers of the recent CIS result set. Fig. 2 Clustered co-occurrence map of the most relevant terms (top-100) from the titles of the 2,255 papers in the 2018 CIS query result set. Node size corresponds to the frequency of the terms (binary count, once per paper). Edges indicate co-occurrence and the distance between nodes corresponds to the association strength of the terms within the titles. Colors represent the four different clusters. The network was created with VOSviewer. Fig. 3 Clustered co-occurrence map of the most relevant terms (top 60 percent, n=530) from the abstracts of the 2,255 papers in the 2018 CIS query result set. Only terms that were found in at least twelve different papers were included in the analysis. Node size corresponds to the frequency of the terms (binary count, once per paper). Edges indicate co-occurrence and the distance between nodes corresponds to the association strength of the terms within the texts (only top 1,500 of 61,315 edges are shown). Colors represent the four different clusters. 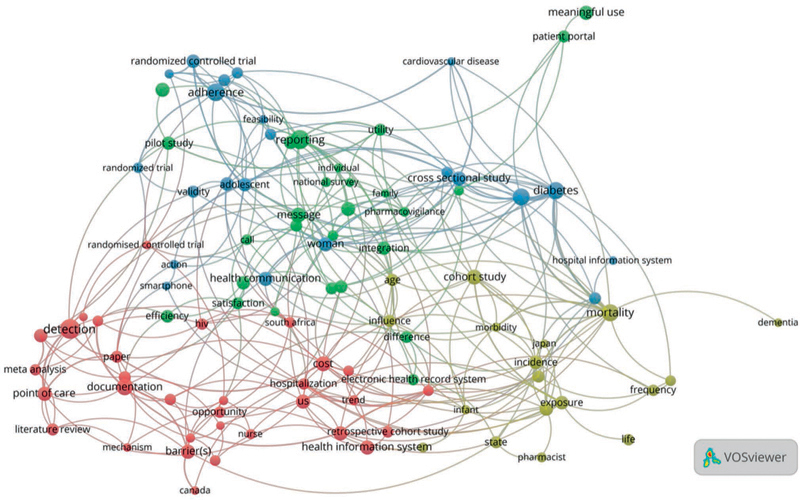 The network was created with VOSviewer. In the previous year, we discovered six different clusters of terms within the titles. Among these we identified five hubs: patient, system, use, study, and analysis. This year, the cluster analysis revealed four different clusters which represent different perspectives on the CIS domain. Interestingly, the last year's study cluster was split up and is represented in different clusters this year. The cluster analysis of the abstracts yielded also four clusters of which two are dominant (cf. [Figure 3]). The red cluster on the left side is dedicated to the general application and evaluation of CIS whereas the green cluster on the right side holds specific elements of clinical information systems and concrete research targets within the domain. Again, we found a cluster which holds elements characterizing clinical research and pointing to measures for impact of clinical information systems. And again, we found a bunch of terms related to adverse events, their detection, reporting and prevention. Still, the location-based cluster is visible, but less prominent compared to the other clusters. As in the previous years, the results of these analyses demonstrate the wide variety of the CIS domain. In the whole spectrum of these topics we found a fair proportion of high quality, highly interesting, and well written articles. Among them, four were finally selected as best papers in the CIS Section of the 2018 IMIA Yearbook of Medical Informatics. The first of these best papers is a contribution by Natalia Olchanski and colleagues which is aimed at quantifying the impact of a novel acute care electronic medical record interface containing tools for error prevention, surveillance, decision support, and reporting. It is a fine example of how health data can be intelligently used to directly impact patient outcome and increase patient safety. The second of the best papers is a fine contribution by Björn Andersen and colleagues that bridges the gap between the medical devices and information systems worlds. In particular the paper focusses on how data can be exchanged between these worlds in a systematic way. The next best paper is a contribution from Panagiotis Plastiras and Dympna M. O'Sullivan who propose a concept that enables a better interoperability between personal health record and electronic health record systems. Their concept is based on a multi-layer, ontology-driven architectural model that resides between these record systems. The last paper among the best paper selection describes a very innovative deep-learning approach by Phuoc Nguyen and colleagues on how to extract features from medical records and predict clinical motifs, e.g. risks. A more detailed description of the content of these best papers can be found in the Appendix to this synopsis. The remaining eleven papers among the candidate best papers were also very interesting and are worth to read. They can be understood as representatives of relevant topics in 2017. In the CIS field, the reuse of existing health data is still a major area of research and we found a lot of examples that demonstrate the potential of secondary use of health data. Here, we selected the Stanford heart failure dashboard as an approach to reducing heart failure all-cause readmissions and an article by Aakre and colleagues on automating clinical score calculation within electronic health records as outstanding examples. In contrast to the potential also the risks of big data in healthcare – especially when data is shared - are object of recent CIS research. We found a variety of worth reading contributions investigating novel privacy preserving approaches and included three papers of such type in our selection  . Besides data protection, data security is an important field within the CIS domain and research brings up novel approaches. We included a contribution by Jung and colleagues on biometric-based user authentication as an example. All that glitters is not gold. And so, waste in health information systems is a significant problem. Not only when reusing data, but also for the primary documentation purpose. We selected a systematic review by Kalong and Yusof with some interesting insights in this topic. Acceptance and evaluation of health and clinical information systems is an important evergreen in the CIS section. This year we selected two examples of high quality articles in this field  context and process. A rising star among the topics found in our selected articles is the “Blockchain”. We are sure that we will see a significant increase of blockchain research within healthcare and within the CIS domain in the next years. So, it will be good to know about blockchain technologies, their potentials, challenges, and latest applications. The review of Kuo and colleagues may be a good start. Last but not least, we want to point out a notable development within the CIS section. The term “patient” was found 5,597 times in the titles and abstracts of the 2,255 CIS papers. The patient serves as study object, as data source, as study participant, and many more. More and more, we find articles that directly move the patient in the focus of research (e.g. patient portals as topic). Patient engagement is obviously gaining importance. Thus, we selected an article of Walker and colleagues who posed an important question: “information technology to support patient engagement: where do we stand and where can we go?”. At the very end of our review of findings and trends for the CIS section we also want to recommend the reading of this year's survey paper of the CIS section. Modern clinical information systems serve as backbone for a very complex, trans-institutional information logistics process. Data that is produced by, documented in, shared via, organized in, presented by, and stored within clinical information systems is more and more reused for multiple purposes. We found a lot of examples showing the benefits of such data reuse with various novel approaches implemented to tackle the challenges of this process. We also found that the patient moves in the focus of interest of CIS research. So the loop of information logistics begins to close: data from the patients is used to produce value for the patients. Can a Novel ICU Data Display Positively Affect Patient Outcomes and Save Lives? The reduction of medical errors, the reduction of cost, and/or the increase in outcome quality are amongst others important expectations regarding the introduction of Healthcare Information Technologies (HIT) such as Medical Records. While initial findings support these ideas at least partly, there are other specific examples that put this into question. The respective paper deals with the specific domain of intensive care units (ICUs) where delayed or poorly presented/ contextualized information together with other factors often cause failure of HIT. In the current study, the impact of the Patient-Centered Cloud-based Electronic System: Ambient Warning and Response Evaluation (ProCCESs AWARE), which was developed at the Mayo Clinic, Rochester, MN, is evaluated regarding care process and patient health outcome metrics. AWARE contains built-in tools for error prevention, practice surveillance, decision support, and reporting, built on an advanced understanding of cognitive and organizational ergonomics. Outcomes before and after implementation were compared using a prospective cohort (856 patients from 2010) and a historical cohort (983 patients from 2014), including all critically ill adult patients (over 18-year old) admitted to four ICUs at the Mayo Clinic. Non-parametric Wilcoxon tests for continuous characteristics and chi-square tests for categorical measures with a significance level of p = 0.05 were applied and covariate adjustments were made to control for known biases and confounding. Health outcomes included e.g. overall and ICU length of stay (LOS), inpatient and ICU mortality, central line Infections, etc. The main process outcomes in this study included among others resource utilization in terms of number of days with central line usage, number of days with urinary catheter usage, number of days of antibiotic usage, etc. Reductions in both hospital and ICU mortality, length of stay, and costs of hospitalization were significant when controlled for patient characteristics and AWARE usage levels. The process measures showed mixed results. Currently we can observe a lot of standardization efforts taking place in the domains of medical devices as well as clinical information systems. These efforts are focused on specific challenges ranging from technical to semantic interoperability. What is not yet covered in enough detail is the fact that these domains have to work together in order to allow integrated care scenarios. So it is not enough to tackle the problems of standardization and interoperability within each field. Solutions are needed that bridge the gap between these two fields. On the other hand, it is not only a problem of interoperability but also a question of e.g. guaranteeing security when exchanging data between the domains. The current paper introduces existing standards in the field of medical devices and clinical information systems such as Health Level Seven (HL7), Digital imaging and communications in medicine (DICOM), Fast Healthcare Interoperability Resources (FHIR), etc., and proposes concepts to overcome problems of technical, structural, and semantic interoperability taking the specific requirements of each standard and the context of its use into account. The idea is to allow the transfer of clinical and administrative data to medical devices, physiologic measurements and device parameters to clinical Information Technologies systems, as well as image and multimedia content in both directions. The paper also reports about a prototype implementation and evaluation of the proposed concepts using a service-oriented approach. Finally the approach was reflected with regards to the introduction of the HL7 FHIR approach. Electronic Health Records (EHRs) face widespread adoption in the clinical domain. Often these records are solely focused on health care providers and their information needs. In addition, there are personal health records (PHRs) that – on the opposite – focus on the patients and their needs. It seems evident that an integrated care requires both self-dependent, active patients, and health care providers; the same is true for data. Different scientific publications have identified barriers to the adoption of PHRs such as privacy, interoperability, and integration. The work tackles the problems of integration and interoperability by developing an information model that attempts to overcome inadequacies of existing standards for PHR data such as Continuity of Care Documents (CCDs). 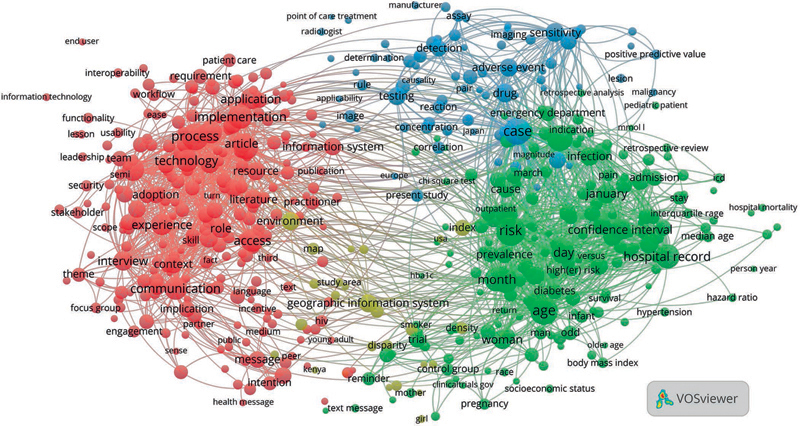 The authors present a multilayer architectural model that combines different ontologies to allow a flexible and system-independent transfer of data between EHRs and PHRs in both directions. The idea relies on a set of rules that support the analysis and transformation of information from the different systems based on the mapping of their information model to HL7 RIM classes and the generation of standardized documents that can be exchanged between systems. The evaluation proofed that the system was able to handle various challenges such as how to treat elements from the exporting system that are unsupported by the receiving system; differences in the attributes captured in PHRs and supported by CCD documents, and the semantic interpretation of the expected data. When it comes to the extraction of knowledge from medical data, one is faced with a variety of problems. These include, amongst others, that data differ from patient to patient as varying data elements depending, for instance, on the actual patient, collected treatment, or disease characteristics. Also, time and frequency are great challenges for the extraction of knowledge as there are different time gaps between observations or number of observations recorded for a condition which differ between patients. In order to tackle these problems, highly specific feature engineering is necessary, which makes an approach cost-intensive and reduces generalizability. The paper presents a prediction framework called Deepr that does not require manual feature engineering and is based on a multi-layered approach inspired by convolutional neural networks from natural language processing. Deepr is thereby transforming data from electronic medical records to “sentences”. Time for example is represented in these sentences by special “words”. The basic idea behind the approach is that there exists something like a “health grammar”, a clinical pattern that shapes the evolution of one's health over time. Deepr was validated using hospital data to predict unplanned readmission after discharge. The system showed superior results compared to Bag of Words and regularized Logistic Regression. It detected meaningful clinical motifs and uncovered the underlying structure of the disease and intervention space. We would like to acknowledge the support of Lina Soualmia, Adrien Ugon, Brigitte Séroussi and the whole Yearbook editorial team as well as the numerous reviewers in the selection process of the best papers. Special thanks go to Thomas Ganslandt for his valuable work in this section during the last years! 6 Olchanski N, Dziadzko MA, Tiong IC, Daniels CE, Peters SG, O’Horo JC. , et al. Can a Novel ICU Data Display Positively Affect Patient Outcomes and Save Lives?. J Med Syst 2017 Nov;41(11).